EEF, the manufacturers’ organisation has welcomed the Withdrawal Agreement published last week, believing it safeguards the key outcomes that will enable manufacturers to plan for the future with a far greater degree of certainty. 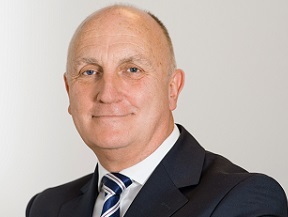 Commenting on the Withdrawal Agreement, Stephen Phipson, CEO of EEF, the manufacturers’ organisation said: “What we have called for from the very start of the Brexit negotiations is clarity and the draft Agreement the Government has struck with the EU provides this to a greater degree than we have seen to date. “Having undertaken a period of analysis, we support the Government’s approach. There is a clear sense of alignment with the EU of standards and regulation which is essential for businesses to continue to operate efficiently and it delivers frictionless trade through a Customs Union. “However, it is less specific in the longer term around the free movement of workers. Vital skills from the EU are essential to Britain’s continued manufacturing success so there is still work to be done, but this Agreement is certainly a step forward.